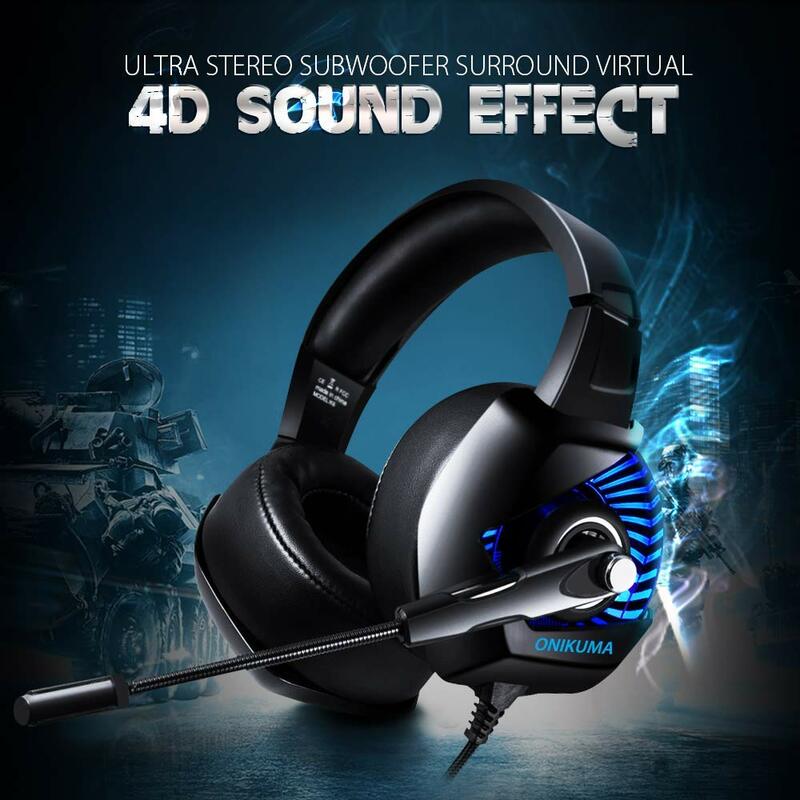 So here is a gaming headset that is going to surprise everyone. 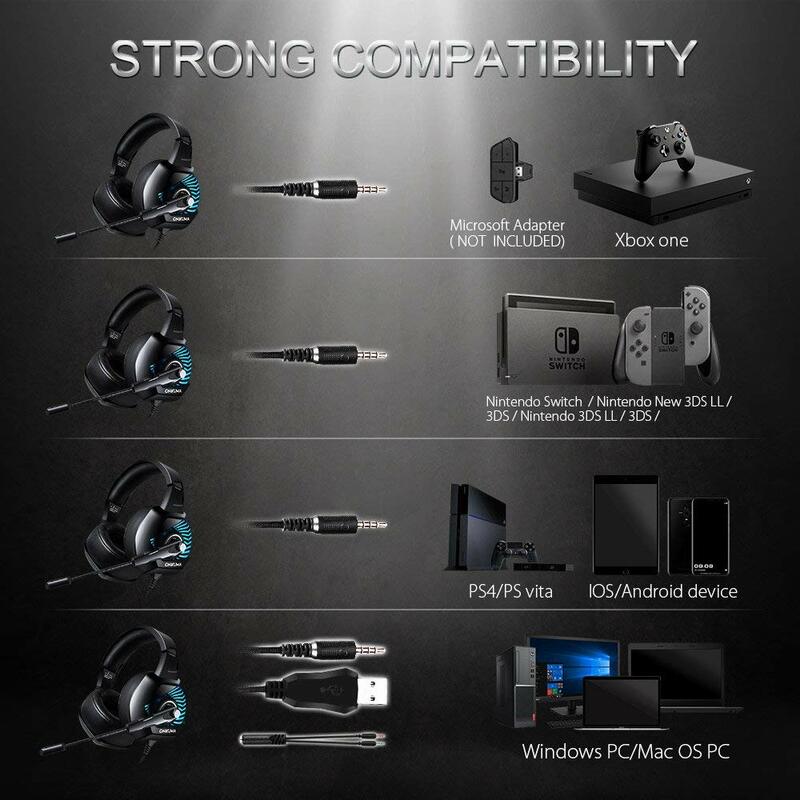 The Onikuma K6 gaming headset is budget gaming headset that going to surprise you. 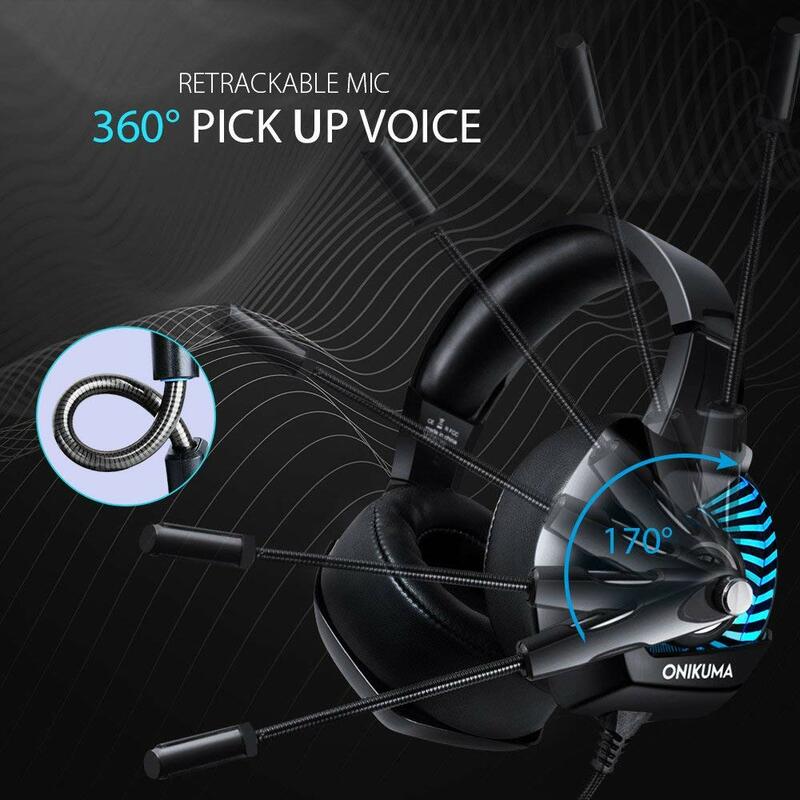 If you into gaming, or you like surround sound experience, or you like noise cancellation, then you would want to take a look at the Onikuma K6. 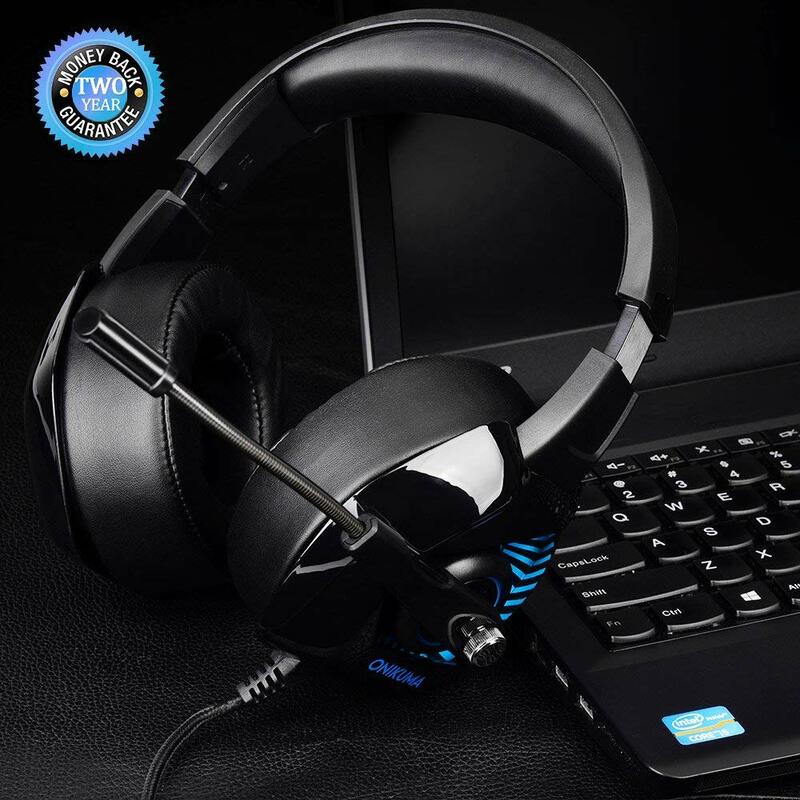 In this article, I would highlight the features of this gaming headset along with my personal experience with this device. The Onikuma K64 has the following specs. The ear pad’s speaker is 50mm driver, and the pads are a skin texture protein ear muff for comfort and protection. The microphone is positioned on the left side and it can flip back to a vertical position if you don’t need to use it. The mic is also made if flexible coil wire for positioning the mice wherever you want in any direction without breaking. On the outer part of the ear pads, there is a multi color LED illumination system to add a modern stylish gaming appearance and some swag to your game. The head band is adjustable and can fit even persons with large heads. The control center consists of a volume control button and a switch to turn the LED on or off. The K6 connector cable consists of 1 USB cable to power the LED’s, 1 earphone 3.5mm jack, and 1 microphone jack. 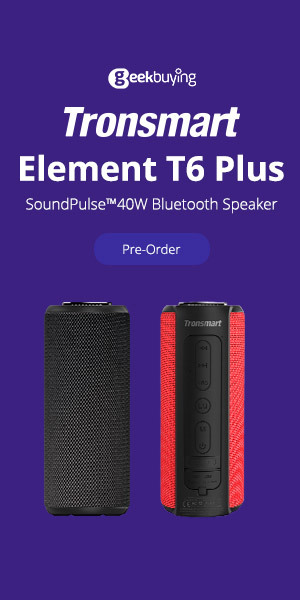 With a price tag of under $30, I was expecting some sort of substandard sound quality compared to those found in other top name brands. However, I was quite surprised of the build quality and sound quality of this headset. During the Microsoft Dolby Atmos sound test, I felt like I was in 4DX cinema. The bass quality is really deep but not over loud, and the mid-range sound and treble was of a high fidelity. The microphone reception is really clear and receptive, and the head set fits my head easily. So if you want great gaming sound quality for under $30, give this headset a try. does i has surround sound?